The strange new reality is that calling from India to the U.S. on an iPhone is more convenient than raising your voice to shout into the next room -- and the same price. The Egyptian uprising began on Jan. 25, organized online via American social media sites like Twitter and Facebook. Two days later, the government ordered the nation's Internet service providers (ISPs) to cut off Internet access. The following day, the government shut down the nation's cell phone carriers. The government apparently hoped that taking away the main way people organized and communicated might stop the protest movement. A Ph.D student at UCLA named John Scott-Railton, who speaks Arabic, has friends in Egypt and sympathizes with the anti-government protesters, set up a Twitter feed named @jan25voices to broadcast messages over the microblogging service directly from Egyptians. Meanwhile, the government of Egypt learned that shutting down the Internet comes with some harsh consequences. Foreign governments, including the U.S., began leaning on the Egyptians to restore Internet and phone service. The shutdown reduced support for the government in part by squeezing businesses that rely on the Internet. And the shutdown itself became a motivation to continue the protests and oppose the regime. From the global Internet's point of view, these actions served as something of a self-healing mechanism for the damage of a politically motivated shutdown. Mike Elgan writes about technology and tech culture. 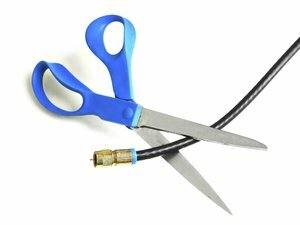 This story, "Why There's No Such Thing as an Internet Kill Switch" was originally published by Computerworld.